Mila is sent to 4B after a bad first week of school. So far, she already made her teacher cry, and it's only Wednesday. Classroom 4B is full of angry, tough kids who are nothing like her. Mila used to be a happy-go-lucky, popular cheerleader, but that was before she was taken away from her mom and placed with her aunt. That was before moving to a whole new town and whole new school. That was before not being able to talk to her mom while she's in treatment. 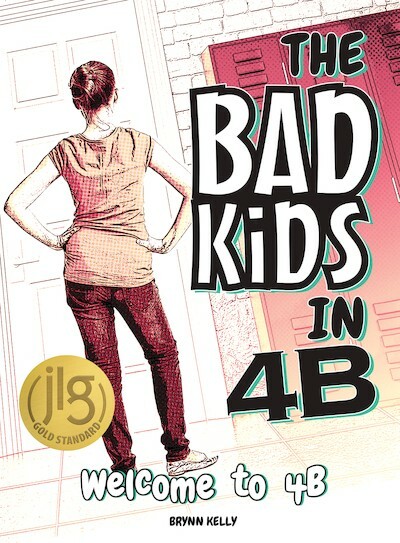 Mila doesn't want anything to do with the kids in 4B, until she realizes that maybe they all have problems, just like her. Mila may have just found her new friends. Dimensions: 5 1/4" x 7 5/8"